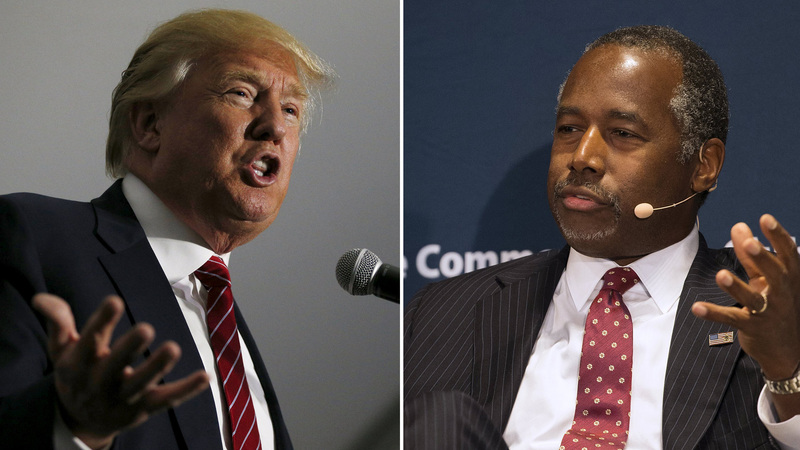 At 27 percent nationally, Donald Trump maintains his frontrunner status among Republican primary voters, but Ben Carson is now close behind him, a new CBS News/New York Times poll finds. Carson's support has risen significantly since early August, from 6 percent then, to 23 percent now, putting him in second place. John Kasich and Carly Fiorina have also seen their support rise in this poll, although both remain in single digits. Some candidates have not fared as well, losing support since August. Jeb Bush (six percent) and Scott Walker (two percent) have now dropped into single digits in this poll. Rick Perry, who announced he was withdrawing his candidacy while the poll was in progress, receives just one percent of Republican primary voters' backing. Trump appeals to many different types of Republican primary voters - but Ben Carson is now a strong challenger among these groups of voters as well. Trump has a slight edge among the most conservative voters, while the race is close among women and Tea Party supporters. Trump holds a larger lead among men and evangelical voters. And while Trump leads Carson among voters who have not graduated from college, 30 percent to 19 percent, among college graduates, Carson has 29 percent to Trump's 21 percent. This poll was conducted by telephone September 9-13, 2015 among a random sample of 1,261 adults nationwide, including 1,021 registered voters. Data collection was conducted on behalf of CBS News and The New York Times by SSRS of Media, PA. Phone numbers were dialed from samples of both standard land-line and cell phones. The margin of error for the sample of 376 Republican primary voters is 6 percentage points.